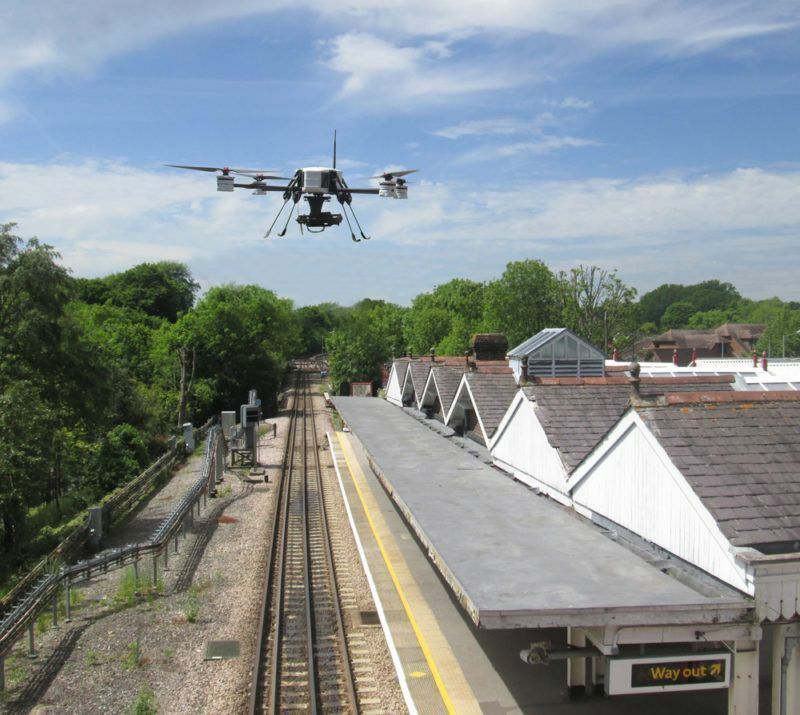 Lanes Rail, part of Lanes Group plc, has become the first contractor to win long-term Transport for London approval to use drones to support the carrying out of asset surveys. Following an intensive 12 month testing and approval process, Lanes Rail can now use a Civil Aviation Authority-approved drone contractor, flying what are officially known as unmanned aerial vehicles (UAVs), during its extensive maintenance work for Transport for London (TfL). By using drones, Lanes Rail expects to improve data gathering, speed up the surveying process, enhance safety, reduce the risk of operational disruption, and cut surveying costs. Lanes Rail Director Matthew Todd said: “Using drones, combined with advanced imaging and analytical technology, will deliver significant benefits for us, for TFL, and for the travelling public in London. Lanes Rail is responsible for maintaining and repairing a wide range of assets across the London Underground network on behalf of TfL. This includes track drainage, station buildings, bridges, power sites, and engineering works. Drones are increasingly used to carry out structural and topographical surveys across the UK. For the technology to be formally approved by TfL, Lanes Rail had to show that it met all TfL’s stringent safety, security, and operational quality standards. Matthew Todd said: “In essence, we had to go through a very detailed and structured process of answering every conceivable what if question. What if the drone malfunctioned, what if the drone was flown close to a power line or signalling equipment, what if a member of the public or TfL employee saw the drone flying. Lanes Rail’s drone survey programme is managed by Lanes Professional Services. It works in partnership with drone specialist Unmanned Aerial Technology, which holds a Civil Aviation Authority UAV licence. To gain TfL approval, Lanes and Unmanned Aerial Technology also had to demonstrate the drone equipment had electromagnetic compatibility (EMC) with live rail and signalling systems, and that a procedure was in place to alert transport staff and the public that a drone was being flown on behalf of a TfL contractor. Andrew McQueen, Head of Lanes Professional Services, said: “Being able to carry out UAV surveys is a major step forward, especially for working on public transport assets that need to be in continuous operation.